Klauck, H, & de Wolf, R. M. (2013). 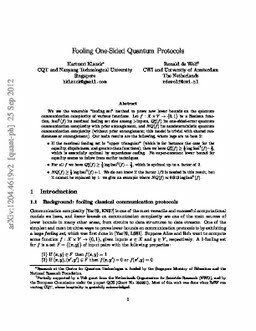 Fooling One-Sided Quantum Protocols. In Proceedings of International Symposium on Theoretical Aspects of Computer Science 2013 (STACS 30) (pp. 424–433).